Technology has the power to change the world in ways both large and small. Usually, it's the large technological innovations that make national headlines. But often, it is the small bits of technology that have the biggest impact on the everyday lives of ordinary people. Such technology can help us solve our problems and reach our goals in ways we'd never imagined. After all, simply discovering new ways to make your daily life easier, smoother, or more efficient can save a lot of stress, leading to more happiness and overall wellness. For eco-conscious people, technology can rise some important questions: You may worry about how your purchases may negatively impact the environment, or want to know where the company of choice sources their materials from to make sure they're sustainable. With this in mind, here are five innovative gadgets that make eco-friendly living easier. Designer Marilou Valente's concept for a "shampoo bottle of the future," made from recycled plastic and without a difficult-to-recycle cap, has been praised as a simple fix to a large part of the world's waste problem. Many shampoo bottles are made from recyclable plastic, but their caps are often made from non-recyclable materials, adding a lot of waste to landfills. To solve this problem, Valente's bottle has no cap at all, but rather a short hose which "plugs" into a hole in the side of the bottle where the shampoo is dispensed. Although Valente's design isn't yet on the market, it soon will be, if the designer has her way. In the meantime, she was invited to speak about her design at the London Design Festival in 2016 as part of a special forum on plasticity. Think composting is only for those with strong stomachs and big back yards? Think again! 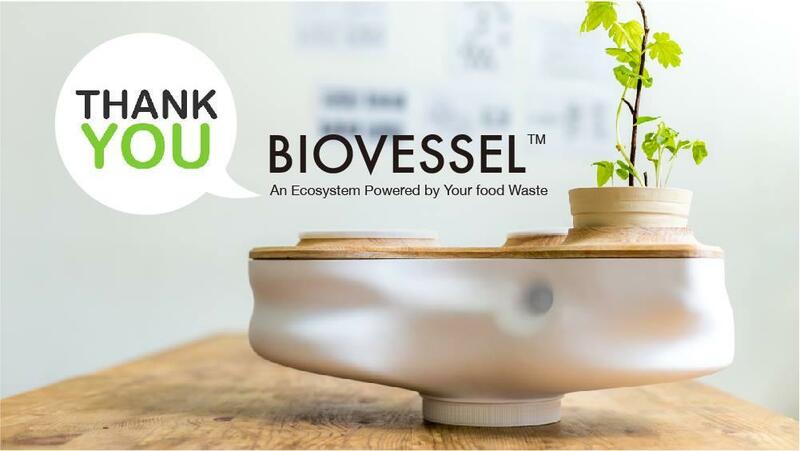 Taiwan-based company Bionicraft has recently undergone a successful Kickstarter campaign to fund production of their urban, desktop composter: Biovessel. This one-of-a-kind gadget encases soil, earthworms, and food scraps beneath a pretty, two-toned piece of modern art. Simply place food scraps into the designated area and it will naturally decompose, with the aid of the worms. Biovessel even grows its own plant from the rich soil created via the compost. 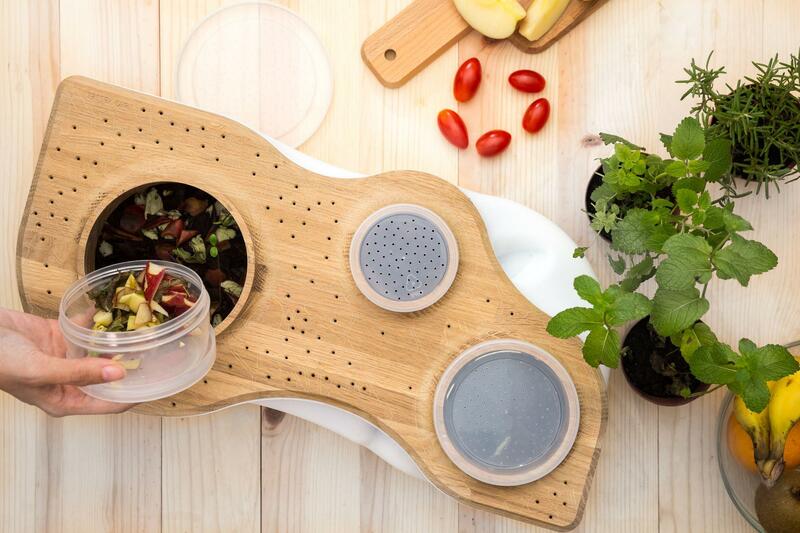 The entire setup can easily fit on your kitchen counter, where leftover ingredients, peels, and other food scraps can be conveniently added to Biovessel with no hassle. Read more about this gadget here. With the rise of smartphones and tablets, laptops are beginning to seem a bit old fashioned to some. But that doesn't mean that traditional keyboards will be fading away any time soon, since they make writing long emails, essays, and other documents so much easier. Modern keyboards must be able to sync with a variety of wireless devices, which often means it is best if they are wireless themselves. But why do wireless keyboards need to be made from non-recyclable or non-biodegradable materials? They don't! 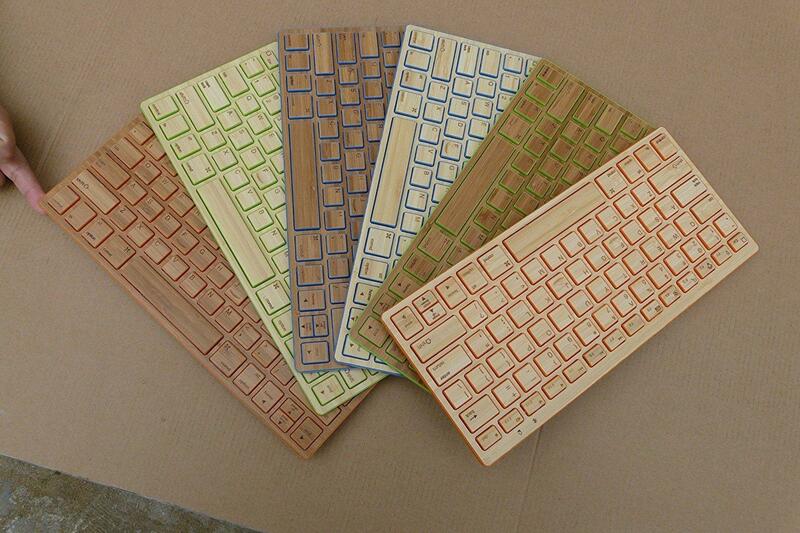 Small company iZen has recently undergone a successful kickstarter campaign to create a wireless keyboard made from bamboo. It is completely biodegradable, with a stylish, natural-looking design. Available on Amazon or on the iZen kickstarter page, use your iZen keyboard with any iPhone, iPad, or Android device. Read more about this gadget's features here. Walking at night can be dangerous, especially near roadways. Many nighttime runners, joggers, and walkers use reflective vests and bright clothing to decrease the chances of going unnoticed by cars. But reflective clothing still relies on light to make it "glow." In other words, a car's headlights often have to be pretty close to make reflective clothing do its job. But what if there was a wearable light that could warn cars of your presence before they got close? Panther Vision's baseball cap fits that bill, as it is outfitted with several LED lights. Best of all, the LEDs are powered with 100 percent solar energy. Wear the cap for a few hours in the sunlight for an equal amount of running time at night. A three way switch even lets the user control how brightly the light shines. Small, lightweight, and portable, GreenLighting's solar-powered cell phone charger is everything you'd want in a charger and then some. Unlike some solar-powered chargers that must be laid in the sun GreenLighting's charger is equipped with a large suction cup, allowing it to be stuck directly to windows. Perfect for car or air travel, this charger makes the very most of the sun's energy, fully charging a phone within four hours. Get one for yourself or the frequent traveler in your life here.